“Curly hair girl problems” are experienced by women all over the globe, regardless of a woman’s race, background or heritage. If you are a curly-haired woman who battles daily, with what feels like a full body workout, to tame your curly hair straight you may face common problems such as dryness, frizzing, shrinkage and in extreme cases breakage. Many curly hair beauties wonder, what is it that makes my hair so curly and prone to heat damage or dryness? 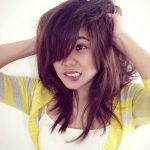 What are the right straightening balms or spray to help protect my hair from heat damage? More to the point, how on earth do I stop the dreaded frizz ball look? It’s not cute at all. Fear not you are not alone, all curly haired women around the world feel your frustration. It all boils down to the shape of your actual hair shaft. Yes, as if it’s not enough that we must battle with our body shapes as women, some of us must battle with the shape of our hair shaft also. Laughable I know, but it’s true. Hair grows from the epidermis on the scalp. According to scientific research, the flatter your hair shaft, the curlier your hair. Curly hair needs moisture, more than any other hair type due to this flat shape. The hair grows from the head at an angle. The natural oils found in the hair have difficulty moving around the hair shaft. This is due to the curls and kinks in the hair, the hair’s natural oils need to navigate around. This is what makes curly hair a lot drier also. How to Protect Curly Hair From Heat Damage? When hair straighteners first arrived on the market, they seemed to be the answer to every curly hair girl’s problems right?… Well yes and no to be fair. On one hand, hair straighteners are a lifesaver they do help to calm and tame curly hair, no doubt. However, with that comes the risk of extensive heat damage to the hair. Especially if they are used daily. Then came along heat protectors, straightening balms and all kinds of lotions and potions to help protect curly hair from heat damage caused by any type of flat iron like ceramic or titanium hair straighteners. This was the real lifesaver. 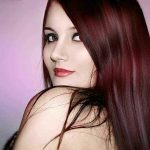 It is a blessing to be able to flat iron curly hair, however, there is not much point if there is excessive damage or lack of protection to lock the straightness into the hair. With protection from heat damage, our curls frizz up and lose their actual curl. Here are some top tips to help prevent hair damage while straightening your hair. Prepare your hair for the heat it is about to experience, with a shampoo that will smooth over your strands. Shampoo your hair with a shampoo that offers heat protection and Keratin is highly recommended. Keratin helps to boost the natural shine in hair, which can be lost in curly dry hair. It also helps to bring back balance to the hair and restore the natural proteins that our hair is made up of. This is a key ingredient to add to hair for all curly hair woman. Our hair is made up of four things water, pigmentation, lipids (fat) and Keratin. Therefore, adding keratin will help to restore damage done by removing natural oils and Keratin when straightening it. Add a thermal heat protection spray, or lotion to help minimize the heat damage to the hair. 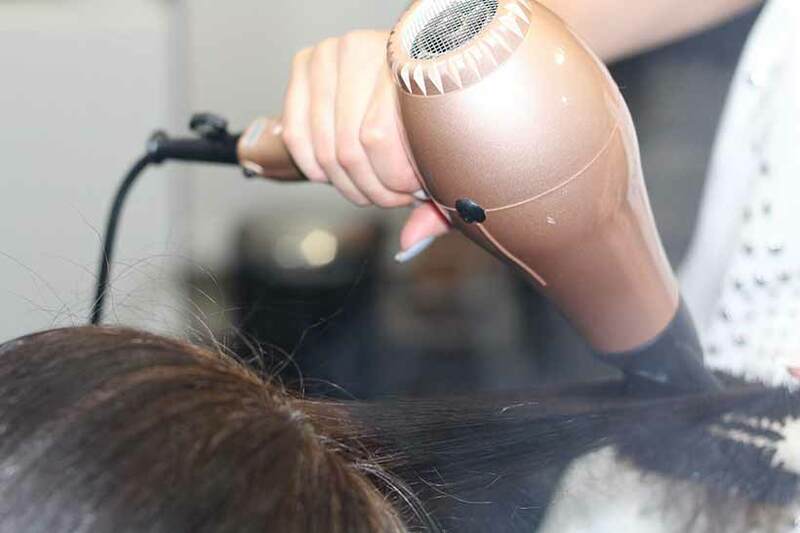 A heat protector should never be skipped, a barrier between the heat and the hair must be made. This step will also ensure that your hair does not feel like straw and minimize strands snapping off. Use a straightening balm to help smooth the hair strands over. This product will do a different job to a thermal protector. Straightening balm will help to relax the curls.Now your hair is prepped and primed with maximum protection against heat damage, the next thing to consider is the type of hair straightener to use. Look for hair straighteners with ceramic plates. Ceramic plates are better at protecting hair from heat damage and smoothing over the hair shaft. Work on small sections of your hair at a time. It can be time-consuming to straighten curly hair. Especially if your hair is naturally thick. That said, you will save yourself from damage if you work on smaller sections. This is because smaller sections will need less time to straighten, you won’t be dragging your hair straighter through your hair so many times to obtain the result that you want. You may also find that the straightness will last longer in your hair, with fewer kinks and frizz if you focus on smaller sections. While straightening the hair with a hair straightener, use quicker strokes when you run the ceramic plates down the hair strands. Don’t press the hair between the plates too much, or prolong the amount of time needed to run the straightener down the strands of your hair. Quick bursts of heat rather than prolonged exposure will reduce damage. So, there you have it curly hair girl problems could be a thing of the past if the right steps are taken to protect the hair, which in turn will reduce heat damage and minimize that so not cute looking frizz ball look. Now that you have learned how to prevent heat damage while ironing your hair, consider reading this Solano Flatiron Reviews I have written recently.